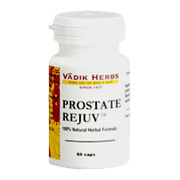 Prostate Rejuv is a unique herbal formula that has shown excellent results in helping people maintain a health prostate. It has been proved to be a safe and cost-efficient approach to supporting the overall urogenital function. The common parameters of urination were studied in several clinical trials of Prostate Rejuv comparing its effectiveness to other products. The advantages of Prostate Rejuv were found to include its non-hormonal nature and the absence of side effects. In general, Prostate Rejuv documented health benefits have been rated superior to natural products based on saw palmetto. Recent studies have also shown that Prostate Rejuv helps maintain a normal PSA count as well as a healthy bladder. Bazaar of India's Prostate Rejuv is unique product that should be taken by men age 40 and over. Conditions affecting the prostate are prevalent among men of all ages more prevalent than most people realize. These conditions are influenced greatly by not only age but also by diet, nutrition, exercise, and lifestyle. It is of paramount importance for men to be aware of these factors so that they can take appropriate steps to increase their odds of avoiding prostate complications. Contains standardized extracts of Gokshura (Tribulus terrestris), Purnarnava (boerhavia diffusa), Ashwagandha (withania somnifera), Shilajit (aspaltum album). Prostate Rejuv is shipped in a discrete, unmarked package. Orders are processed immediately and usually take about 3 to 5 working days to be received. Any information received is used only for order processing and shipping purposes. Your information, such as e-mail address, will never be disclosed to a third party.